Busch Gardens Tampa is once again inviting visitors to the Dark Side of the Gardens for their annual Halloween event. Though they haven’t yet revealed the full theme of Howl-O-Scream 2012, today the theme park offered a first look at this year’s icon – sort of. 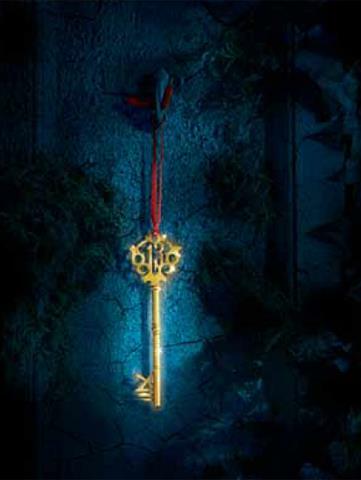 Just a few weeks ago, appropriately on Friday the 13th, Busch Gardens revealed via Facebook the “Dark Side of the Gardens” motif would return, introduced last year. They’re promising to release a name for and closer looks at this event icon in the coming days and weeks, but are satisfied leaving fans wondering for now. It’s worth noting this will be Howl-O-Scream’s first male icon in several years, following in the freakish footsteps of the Raven Twins, fashionista Ms. Vayne, and rockstar Sylvie. But in addition to the developing theme and icon, the park has announced the return of four of their haunted houses along with two all-new experiences. 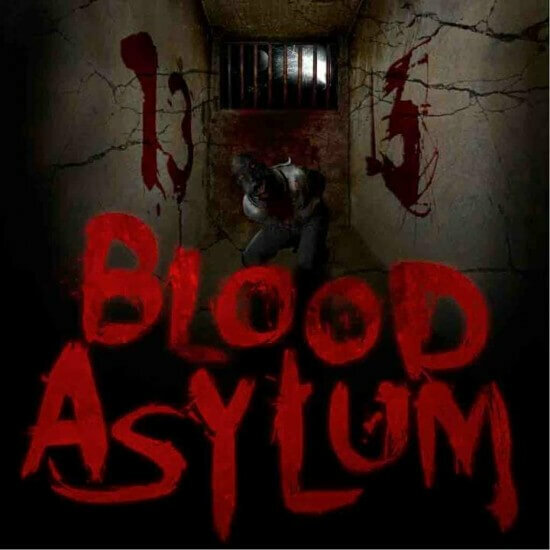 Also new this for year’s event will be a 3-D haunted house featuring plenty of disturbing clowns. Busch Gardens describes this new maze: “You’ve been taught to avoid black cats and sidewalk cracks your whole life, but all those years of bad luck have caught up with you. 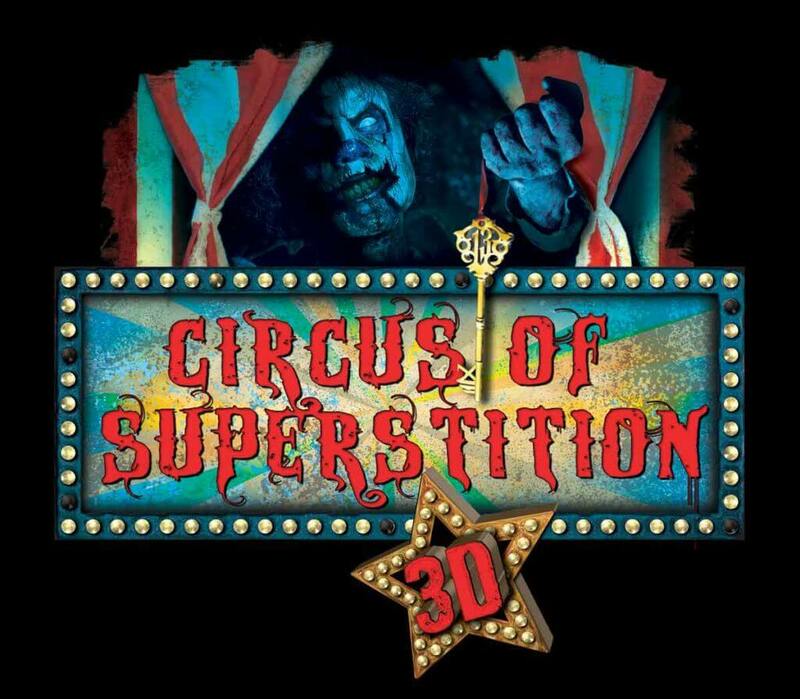 Crazed circus clowns challenge you to survive thirteen superstitions in their 3-D Tent of Terror, but it will take more than luck to escape this whole new dimension of fear.” No artwork has been released yet for this new experience. Longtime Howl-O-Scream houses Death Row Vengeance and Reconstruction are being retired this year to make way for the two new mazes listed above. Zombie Mortuary and Nevermore will be returning for Howl-O-Scream 2012 with “tweaks,” but two other haunted houses will be getting extreme makeovers. “Nightshade Toy Factory: Mutation” is the new name for this popular house, adding mutants to the mix, bringing terror-filled toys to life by way of a radioactive spill. But the most dramatic change of all will be to one of the event’s newest houses from last year. 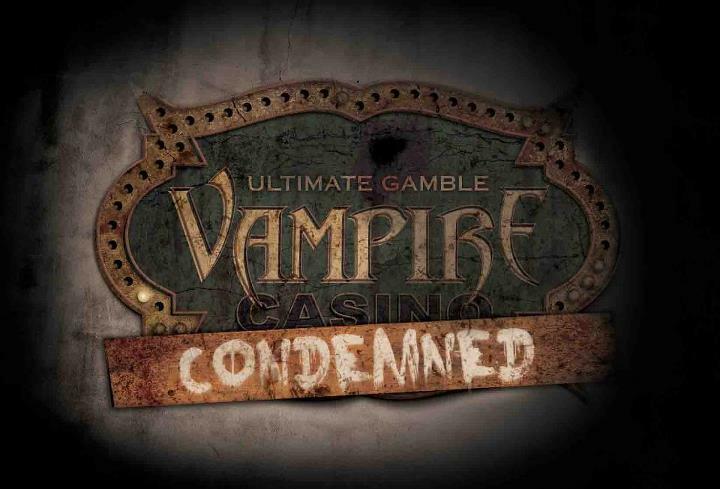 Vampire Casino is becoming “Ultimate Gamble: Condemned”. Inside, guests will explore the now-shuttered casino, minus the vampires, but with the addition of requiring flashlights to see. Guests will actually be handed flashlights on their way in to light their paths through the maze. As with last year’s event, Busch Gardens promises “total park immersion” with a number of hoards of ghouls creeping throughout the park. But scare zones will also be returning this year, one announced to tie into the event’s 13th anniversary. That zone will be called “Faded Memories” and will feature set pieces, props, and characters from Howl-O-Scream’s classic haunted houses of the past thirteen years. More information, including event dates and tickets, will become available as soon as Busch Gardens launches their full web site for Howl-O-Scream 2012, expected later this month. We attended HOS on 9-22-12. We have gone to HOS for the last 7 years. The highlight of our night was always the Fiends show (AKA naughty nurse show) This year the show was moved from Stanleyville theater to Desert Grill. We were terribily disappointed!!! The show is horrible. Set has changed, music has changed, less nurses, poorly choreographed. It is unbelieveable how they ruined a great show. We almost got up and left in the middle of the show. Its not worth seeing. Spend your time in the houses and on the rides. Don’t waste your time seeing this botched performance.